Suitable for urban cruising and tackling tough terrain, Suzuki's latest SUV style vehicle is the SX4 S-Cross. Bringing together comfort with practicality and excitement, this is one vehicle that you'll look forward to driving. With a welcoming interior and impressive ALLGRIP 4-wheel Drive technology, you're no longer limited by route or terrain. The new Suzuki SX4 S-Cross, the practical family crossover SUV is available now from Motorparks Suzuki and Invicta Motors Maidstone Suzuki. Feel energized and exhilarated when you're behind the wheel of the SX4 S-Cross. With powerful and economic Boosterjet engines and ALLGRIP 4-wheel Drive technology, the performance of this vehicle is hard to compete with. If you're planning on going off-road, switch the ALLGRIP dial and sit back as your car adapts to the conditions ahead. Make no mistake that this car has been designed with contemporary style, safety and the latest technology in mind. If you thought SUVs couldn't maximise on comfort, the spacious SX4 S-Cross will prove you wrong. Don't let your vehicle blend in with the traffic, instead make the most of high-intensity LED projector headlights, MoJave alloy wheels and impressive silver side and rear under body trims.The silver grille complements the tones of the SX4 S-Cross, and the bold curvature of the model is an enviable look. It's no secret that the interior of this car has been designed to impress. Complete with a panoramic sunroof, rear parking camera and 7-inch touchscreen display you've got all the in-car technology on hand to improve your riding experience. Treat yourself with the higher grade SZ5 to make the most of dual-zone automatic air conditioning, adaptive cruise control, keyless entry and start and comfortable heated front seats. It's safety first when it comes to the technology of this model. Rest assured that you're well-protected when behind the wheel with a Euro NCAP 5-star safety rating, surrounding airbags and ISOFIX child sear fittings to name a few. Choose from three grades of the S-Cross to add some personalization to your vehicle. Upgrade with heated seats and a keyless entry and leather upholstery or keep it standard with the equally as impressive features. 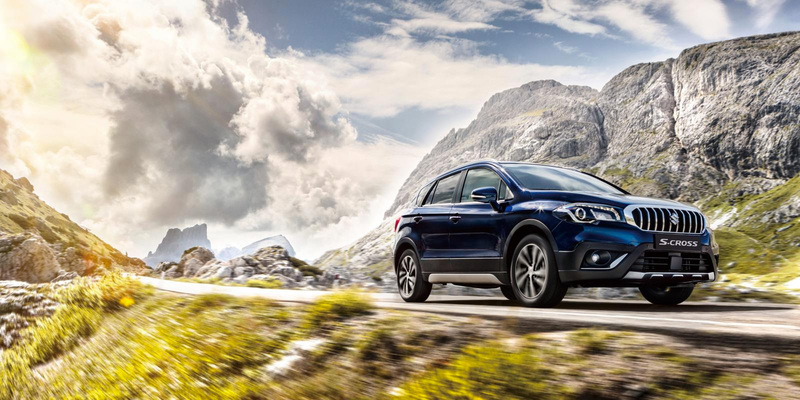 Find out more about the adventurous Suzuki SX4 S-Cross by visiting us at our Invicta Maidstone Suzuki dealership - part of the Motorparks family or enquire online today.